A really surprising find within Alan Bell’s collection at the Bluebell railway. 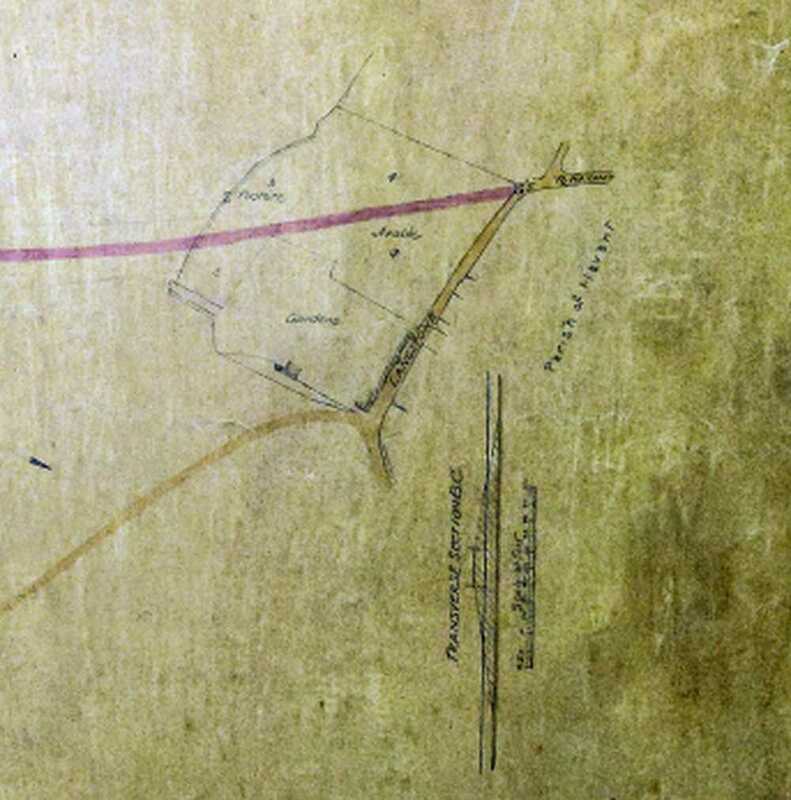 This plan shows the existing (at the time) routes between Hayling and Langstone (in buff) and the proposed changes with the introduction of the road bridge (in red). The end of what is now Langstone High Street leads straight onto the wadeway (in Buff) crossing to Hayling Island. The bridge approach road at Langstone was of new construction and joined the Havant Road at Langstone High Street. New embankments were provided to accomodate the bridge approaches were part of the construction. The centre section of the bridge includes an opening span which was a swiveling section (as was actually built). 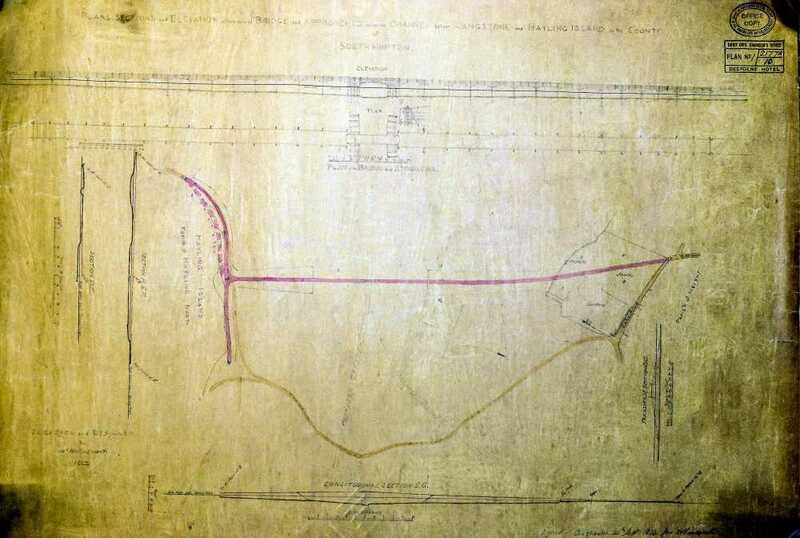 This was to allow the passage of shipping along the Portsmouth and Arundel Canal.